Have you ever had poor results from a marketing effort that seemed to produce results for others? One of the most important, and commonly overlooked, parts of marketing is to come into the market with an edge. Having something that clearly differentiates you against your competitors. What if The Following Successful Case-Studies Started Off Basic? Imagine for a moment if Lady Ga-Ga tried to kick-off her career wearing a basic tee-shirt and jeans. Or imagine if Apple tried to launch the I-Phone that could only function as a phone. Or if Jimmy Johns took a long time to make a sandwich. Uber hiring normal cab drivers and taking long times to show up. Had any of these examples come out with something normal, typical, or basic that didn’t have an edge over their competitors, they would flopped like “The New Coke” (which tanked miserably). Marketing aims a product or service in front of potential customers to cultivate interest and generate action, but if you don’t have something different about your business that is compelling and gives people a clear reason you choose you over your competitors then you are fighting an up-hill battle. Really successful businesses innovate to create Market Dominating Positions. Ensuring you have crafted a strong MDP is critical for marketing and business success. #1) Determine Your Strategic Position in the Market. What specific niche market or segment of the marketplace should your business focus on? Determining this involves combining the skills your business has with the unmet needs of your targeted prospects and then designing your product or service to fulfill those needs. #2) Determine Your Primary Market Dominating Position. This is the most dominating advantage that separates you from your competitors. Domino’s claimed it could deliver its pizza in 30 minutes or less, or they would give it to you for FREE! This was the primary advantage that met the needs of their newly defined market position – hungry college kids who wanted food fast. #3) Determine Your Supporting Business Model. How will you specifically deliver what your strategic position and primary market dominating position promises? What changes, if any do you need to consider making to your business to ensure you deliver consistently on your position and your promise? Domino’s built a supporting business model that enabled them to consistently provide their promised primary advantage, which was fresh hot pizza delivered within 30 minutes. To make good on this promise every time, they were forced to create a supporting business model where they built low-cost, plain vanilla stores strategically located near college campuses. And since college kids also have obligations to attend classes, study for tests, and have a little social life, they were forced to hire additional delivery staff and have additional drivers on a stand-by basis. Together, these innovations allowed them to consistently meet and often exceed their primary market dominating position. #4. Determine Your Secondary Market Dominating Position. What additional competitive advantages does your business offer that your customers will perceive as being different from your competition? Domino’s secondary benefits might include special pricing, assorted sizes, a much broader selection of toppings or additional menu items. 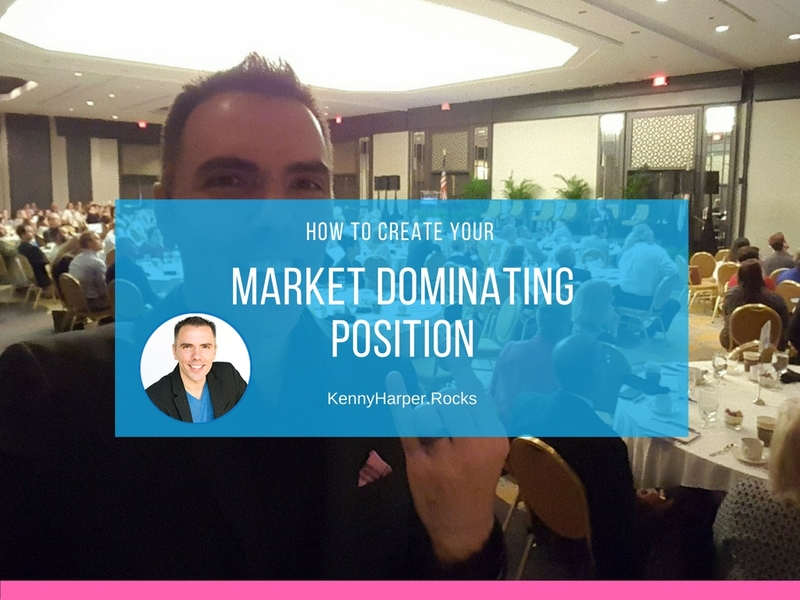 #5 Create Your Market Dominating Position Statement or “elevator pitch“. This is a simple statement you can create by combining the information that you determined in steps one through four of this process. An “elevator pitch” helps you to state unequivocally what differentiates you from your competitors to your targeted prospects and customer, in the time it would take you to ride in an elevator with a prospective client or business partner. These basic steps will help you focus and define your market dominating position and a powerful and compelling “elevator pitch” to effectively communicate your value to people in your market area. What is Your Market Dominating Position? 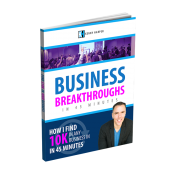 Claim Your Free Copy of Amplified Business Breakthroughs: How I Generate 10K in Revenue in Any Industry in 45 Minutes. Gain 8 Proven Actionable Strategies to Increase Your Leads, Sales & Profits! 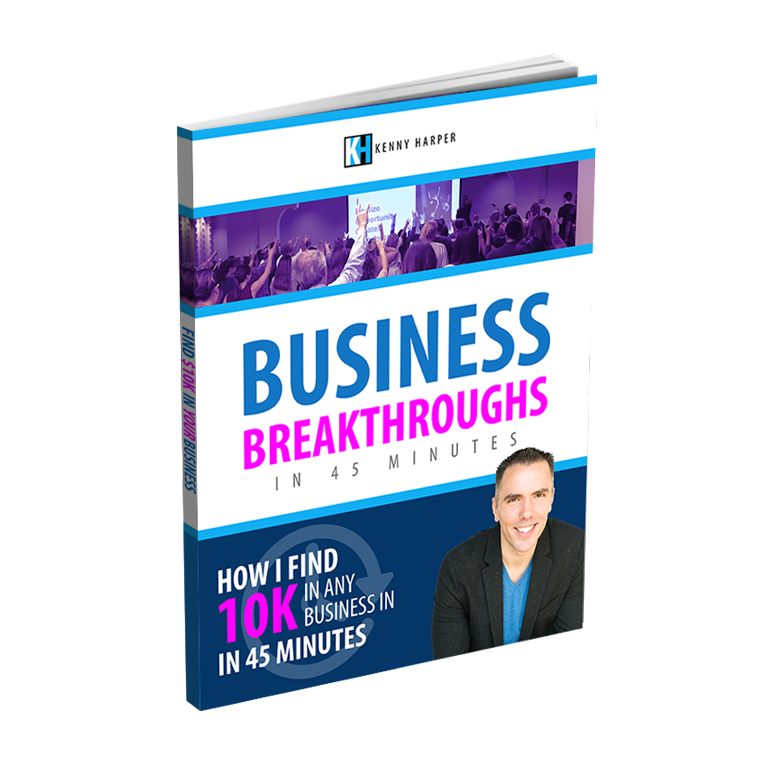 Get Your Free Copy & Online Training.